1) Believing in any other gospel means you desert Jesus Christ -- period. 2) There is no other real Gospel but His. 3) People will be troubled by people seeking to distort the true Gospel of Jesus Christ. 4) If anyone, including angels, were to ever present a different gospel -- may they be cursed! "Jesus said, "Those who love me come from every system that exists. They were Buddhists or Mormons, Baptist or Muslims, Democrats, Republicans and many who don't vote or are not part of any Sunday morning or religious institutions. I have followers who were murderers and many who were self-righteous. Some are bankers and bookies, Americans and Iraqis, Jews and Palestinians. I have no desire to make them Christian, but I do want to join them in their transformation into sons and daughters of my Papa, into my brothers and sisters, into my beloved." "I walked into the theater understanding the purpose of this book and the resulting movie was never to be a theological treatise any more than other fictional works that allude to various aspects of the Christian faith. 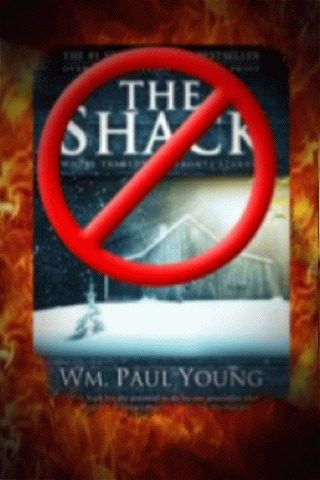 I walked in thinking The Shack fits in a mostly non-theological-but-faith-friendly category with other important works like the Lord of the Rings or the Lion, the Witch and the Wardrobe."